Jack Ma, Founder and Executive Chairman, Alibaba Group (BABA,Tech30): Richest person in Asia and 14th richest in the world. Net worth is US$41.8 billion (June 2017). [Source] Ranked 2nd in Fortune’s 2017 “World’s 50 Greatest Leaders” list. [Source] board member of Bill Gates Breakthrough Energy and co-founder of Breakthrough Energy Ventures. Ho Ching, CEO of Temasek Holdings Private Ltd: Married to the Prime Minister of Singapore. Listed as the 30th most powerful woman in the world by Forbes. Begümhan Dogan Faralyal, Chairwoman, Dogan Holding: Dogan Holding is one of the largest conglomerates in It’s industry sectors include energy, media, industry, trade, insurance and tourism. It is founded by Aydin Dogan (who remains a major shareholder), Begümhan Dogan Faralyal’s father. Mark Wilson, CEO of Aviva: Named in the 2016 Debrett’s list of Britain’s 500 most influential people for his role in the £5.6bn acquisition of Friends Life. This was the largest takeover in the insurance industry in nearly 15 years turning Aviva into one of UK’s largest investment firms (£300bn-plus in assets). Wilson enjoys an annual salary of GBP £4.4 million. The commission was officially launched at the World Economic Forum at Davos in January 2016. The new members bring the Commission membership to 31. Polman is a “B Team Leader”. 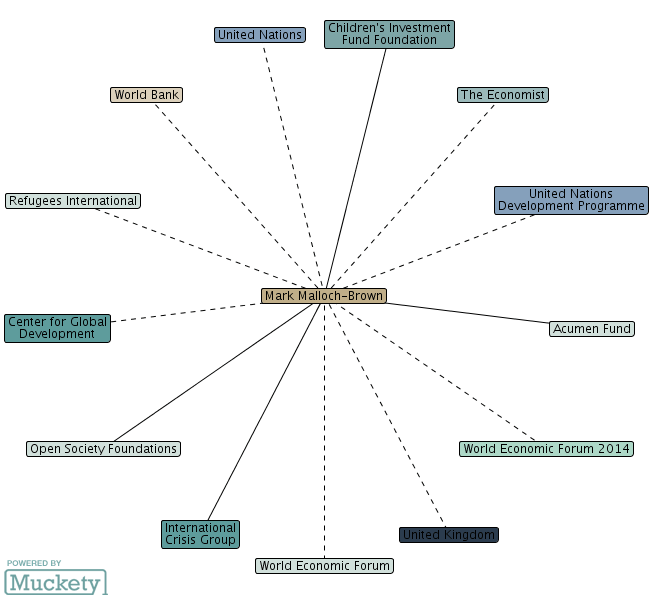 The corporation he heads, Unilever, is a member of We Mean Business (WMB). “WMB is a coalition of business groups including WBCSD, BSR, CERES, B-Team, Corporate Leaders Group, CDP, The Climate Group and supported by other networks.” The Corporate Leaders Group is The Prince of Wales Corporate Leaders Group – a partner of the GCCA/TckTckTck – founded by Avaaz, 350, Greenpeace, Oxfam, etc. (When publicly criticized for this partnership The Prince of Wale’s Corporate Leaders Group name was removed from the TckTckTck website which has now been re-branded and will be discussed at length later in this series). 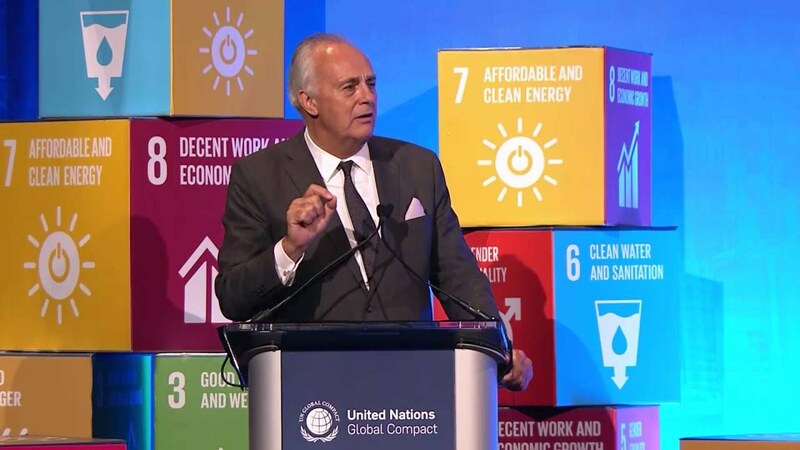 Mallock Brown (“Baron” Malloch Brown, “Lord” Mallock Brown) serves as co-chair for the WBCSD. His prestigious background is most extensive. 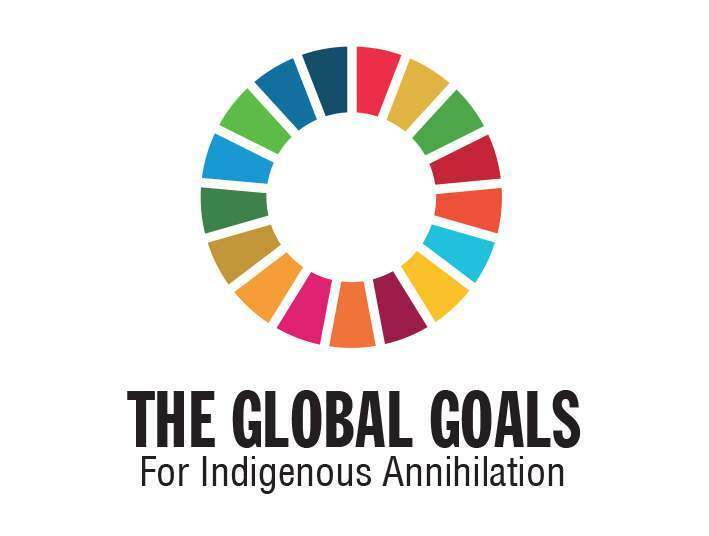 It is paramount to look at his background, however dense, to understand what form the world will take under the UN Sustainable Development Goals (Global Goals). 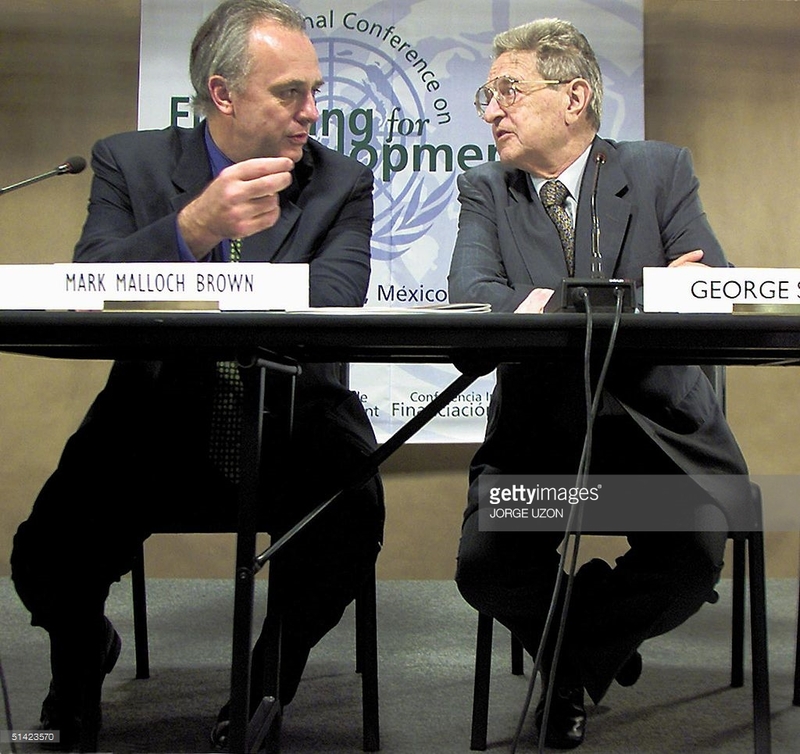 Mallock Brown is a “former number two” in the United Nations having served as Deputy Secretary-General and Chief of Staff of the UN under Kofi Annan (appointed in 2006), as well as having served in the British Cabinet and Foreign Office. He was UK’s Minister of State in the Foreign Office, covering Africa and Asia (2007-2009), as well as a member of Gordon Brown’s cabinet. Prior to that, Mallock Brown had an extensive history with the United Nation Development Program serving as Administrator from 1999-2005. He began his career as a political correspondent at The Economist (1977-1979 and 1983-1986). Other previous positions include Vice-President for External Affairs at the World Bank (joining the World Bank as Director of External Affairs in 1994), Vice-President for United Nations Affairs (1996 to 1999) and Vice-Chairman of the World Economic Forum. In 2007, Mallock Brown was sworn in to “Her Majesty’s” most honourable Privy Council and appointed as a Knight Commander (KCMG), an elitist title bestowed upon only the most senior of civil servants by the Queen of England. 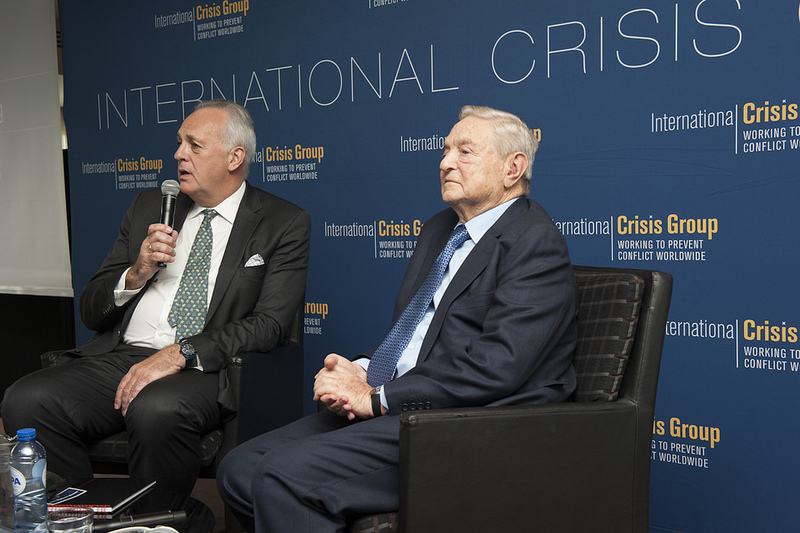 Malloch Brown has long-term personal ties to Soros. 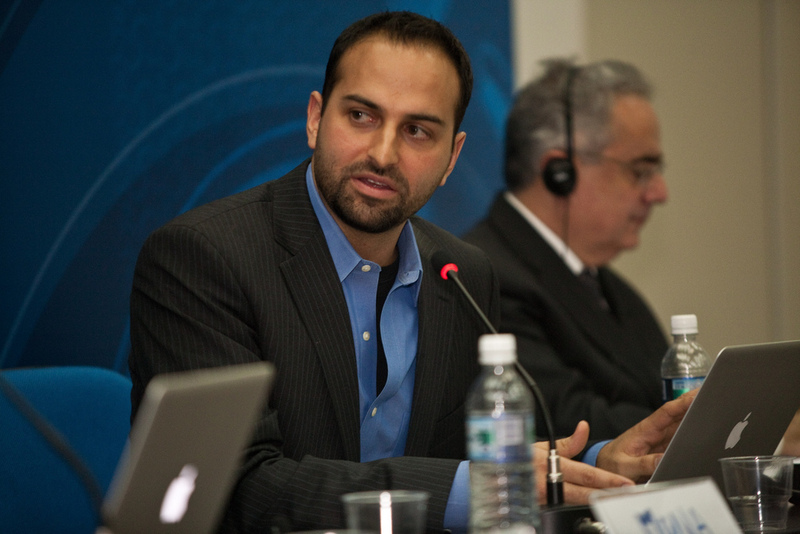 He served as vice-chairman of both George Soros’s Investment Funds and the Soros Open Society Institute. 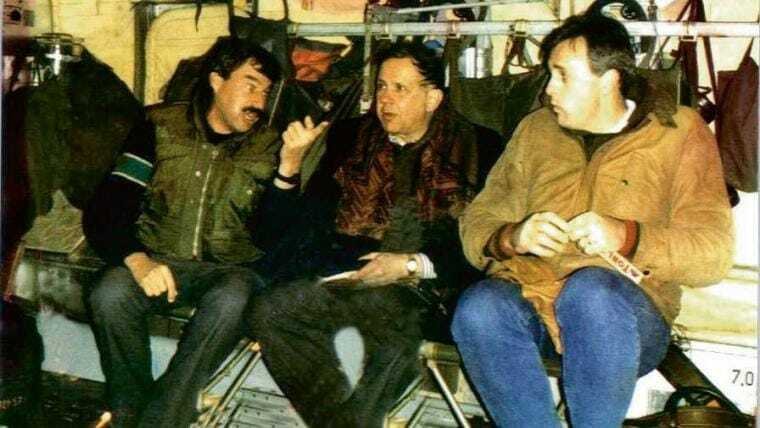 While working for Refugees International (bankrolled in large part by Soros), he was part of the Soros Advisory Committee on Bosnia in 1993–94, formed by George Soros. Spouse Trish Malloch-Brown, referred to as “Lady” Mallock Brown (Chair of Biodiversity International UK Board of Trustees, Member of Bioversity International Inc. 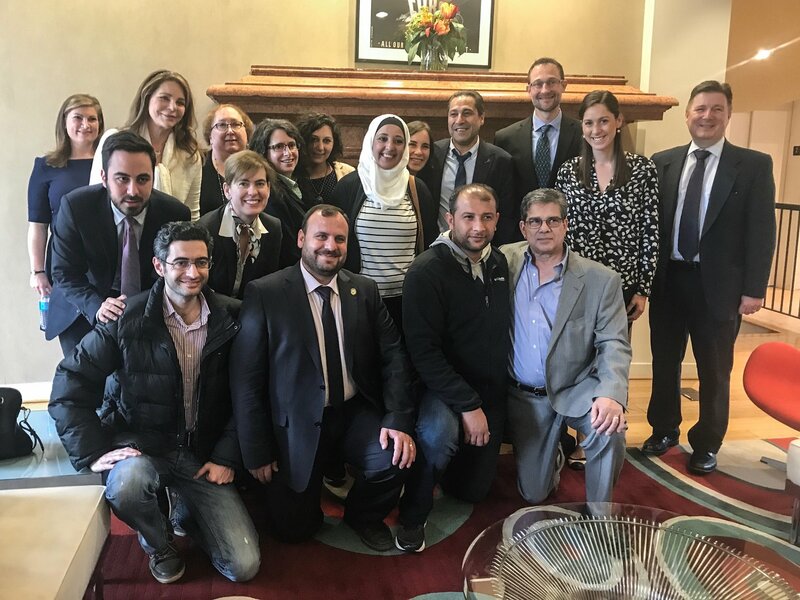 US Board of Trustees, and Independent Humanitarian Affairs Consultant) [Source]. She is also identified as directors emeriti on the Refugees International website where she served as Vice Chair for 12 years having been an active supporter since 1986. She served as a program officer at the Open Society Institute from 1989-1992. For the past 30 years Refugees International has held a lavish annual event for the McCall-Pierpaoli Humanitarian Award. Participants include the crème de le crème of the world’s most influential and power. In 2007, this award was bestowed upon both Mark Malloch Brown and Lady Trish Malloch Brown. This same award was presented to the terrorist group the White Helmets this year. 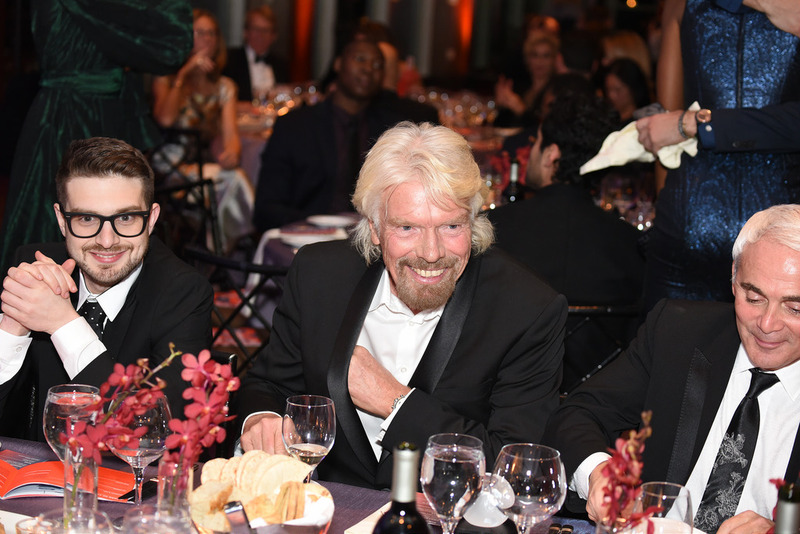 Last year the award was given to The B Teams Richard Branson. [Full list of benefactors] . Mallock Brown is a former chairman of Europe, Middle East and Africa (EMEA) at FTI Consulting, a political consulting firm. Here it is important to note that Indigenous peoples in Bolivia constitute appox. 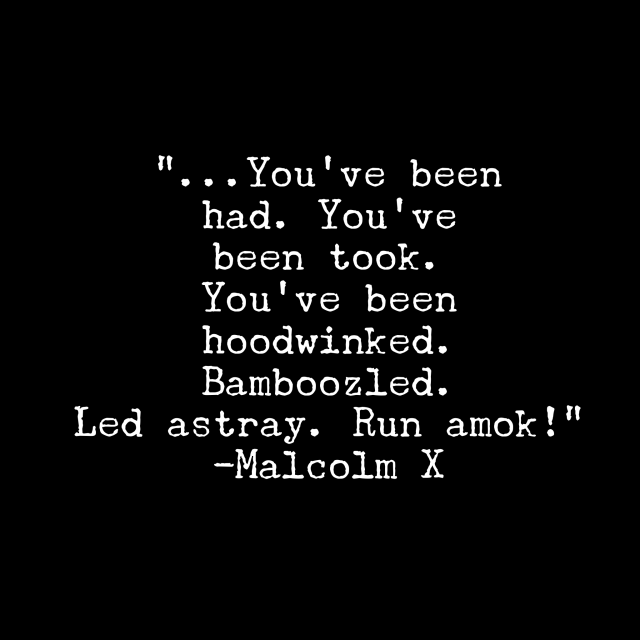 62% of the population. The fact that Malloch Brown states that prior to the new Morales government, that the country had “a strong pre-existing democracy” demonstrates clearly and unequivocally Mollach Brown’s loyalties to colonization, imperialism, and empire. Mallock Brown currently serves as the co-chair of the International Crisis Group’s Board of Trustees, (alongside Larry Summers (Goldman Sachs), Alexander Soros, George Soros and The B Teams, Mo Ibrahim). The international Crisis Group was conceptualized in 1993 by Mallock Brown with Mort Abramowitz, then President of the Carnegie Endowment for International Peace. He also serves on the board of Kerogen Capital (“Kerogen provides expansion and development capital to established junior oil and gas companies.”) He chairs and/or serves on the board of a numerous NGOs including the Open Society Foundation, the Children’s Investment Fund Foundation and the Centre for Global Development. Mallock Brown is Chairman of SGO (Society of Gynecologic Oncology) and its elections division Smartmatic, “the world’s leading voting technology provider”, which can’t be surprising given Brown’s extensive immersion into international politics and influential manipulation of foreign elections. He serves on the Boards of Investec and Seplat Petroleum Development Company plc (Nigerian oil and gas) which are listed on the London, Johannesburg and Lagos stock markets; Kerogen, an oil and gas private equity fund. He is chairman of GADCO Cooperatief U.A. (An agribusiness privately owned and funded by financial and impact investors and registered in Amsterdam, GADCO is the largest commercial rice farm in West Africa). In 2005, Time Magazine placed Malloch Brown on its list of the 100 most influential people in the world. Above: The B Team Press Release with the Purpose address. 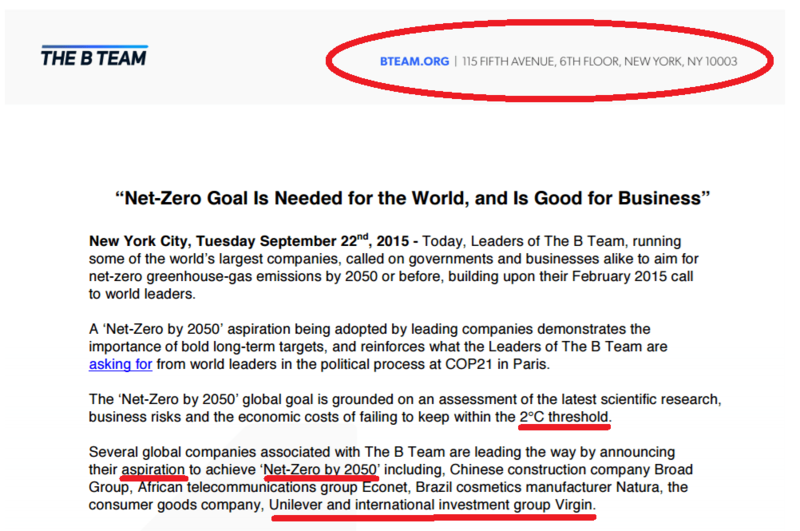 Note the language in the release; “2C threshold, aspiration to achieve, net-zero (rather than virtual zero). 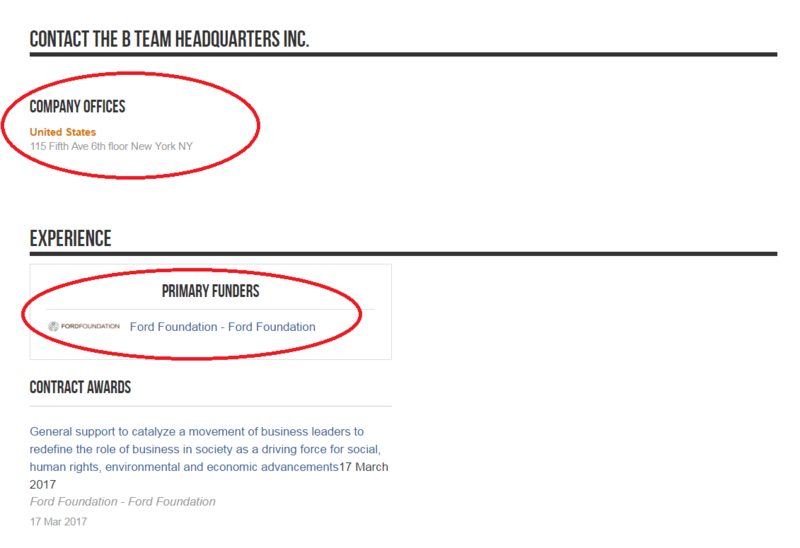 The managing partners of the Business and Sustainable Development commission are SYSTEMIQ (which shares the same address as the commission) and the United Nations Foundation. The Business Commission’s Research Advisory Group Supporting Orgs includes: the Bill & Melinda Gates Foundation, The Overseas Development Institute (ODI), United Nations Foundation, Unilever, World Business Council for Sustainable Development (WBCSD), The Global Green Growth Forum (3GF), Australian department department of foreign affairs and trade, Sida (a government agency that works on behalf of the Swedish Parliament and Government) and UKAID. To be clear, it is impossible to undergo a rapid, large-scale industrial transition (to ensure continued global economic growth) while simultaneously reducing greenhouse gas emissions. Even a slow, small-scale industrial transition cannot and could not be coupled with a reduction of greenhouse gas emissions. An industrial transition will require massive amounts of fossil fuels – resulting in a requisite increase in greenhouse gas emissions. All so-called “clean” energy is dependent upon fossil fuels from cradle to grave. Further, planned obsolescence is an integral component in “clean energy” technology in order to sustain perpetual growth. “Until now, there has been no centralized information resource to serve buyers, sellers, and other market participants. Basic information such as number of banks, species covered, location, availability of credits, and contact details have not been readily available…. The ultimate goal of speciesbanking.com is to facilitate species credit trading as an effective tool for the conservation of threatened and endangered species and their habitat. Speciesbanking.com is a project of the Ecosystem Marketplace, a non-profit organization dedicated to providing information on markets and payment schemes for ecosystem services (services such as water quality, carbon sequestration and biodiversity). 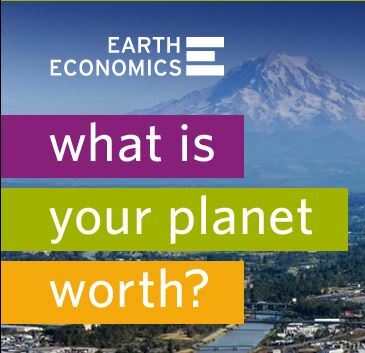 The Ecosystem Marketplace believes that by providing reliable information on costs, regulation, science, and other market-relevant factors, markets for ecosystem services will one day become a fundamental part of our economic system, helping give value to environmental services that, for too long, have been taken for granted. 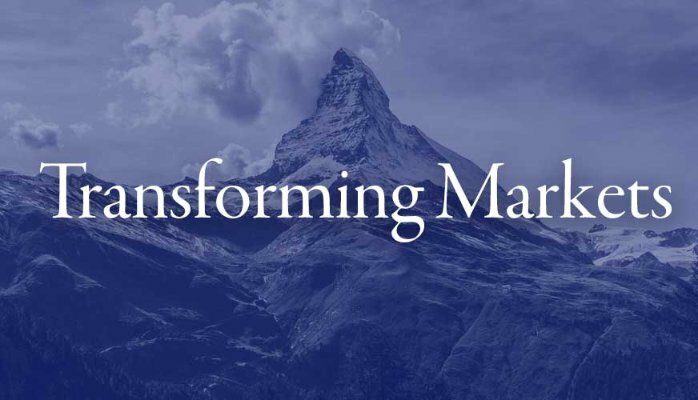 In providing this information, the Ecosystem Marketplace hopes not only to facilitate transactions, but also to catalyze new thinking, spur the development of new markets, and achieve effective and equitable nature conservation. Here it is critical to recall that The B Team, founded by Richard Branson (Virgin Group) is led/managed by Purpose. That Purpose is Avaaz. The Avaaz and Purpose co-founder Jeremy Heimans speaks for We Mean Business, is a B Team Leader, and that Unilever (Ben & Jerry’s brainchild) is a key client of Purpose. 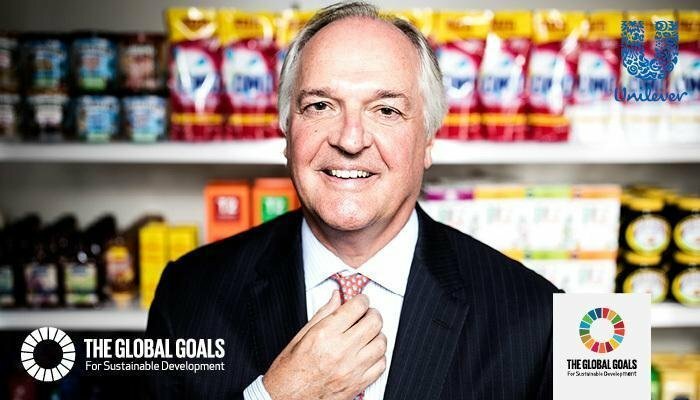 The Unilever CEO being that of Paul Polman, co-founder of the Business and Sustainable Development Commission and chair of WBCSD. In addition, Avaaz co-founder Patel is now a member of Polman’s and Mallock Brown’s newest venture, the aforementioned Business and Sustainable Development Commission. Furthermore, a founding NGO of We Mean Business is Ceres –a partner in the divestment campaign of 350.org. 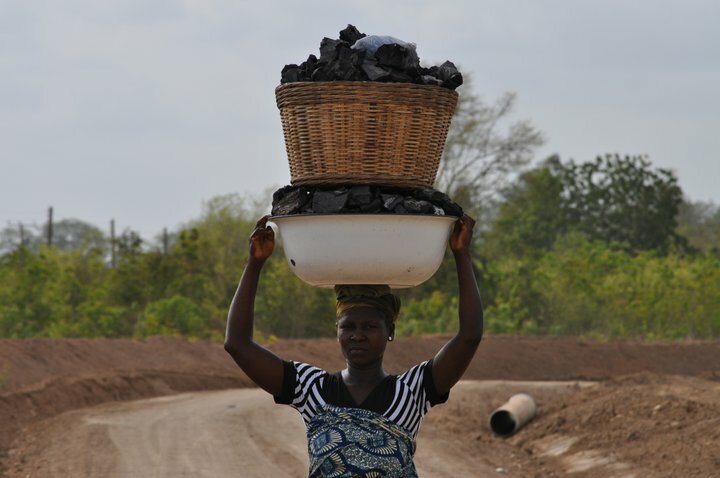 Another founding NGO of We Mean Business is The Climate Group. This NGO was incubated by the Rockefeller Foundation – as was 1Sky which merged with 350.org in 2011. The B Team was incubated by Virgin Unite, the charitable arm of the Virgin Group. The Climate Group is a partner of Avaaz (no longer public on the Climate Group website). 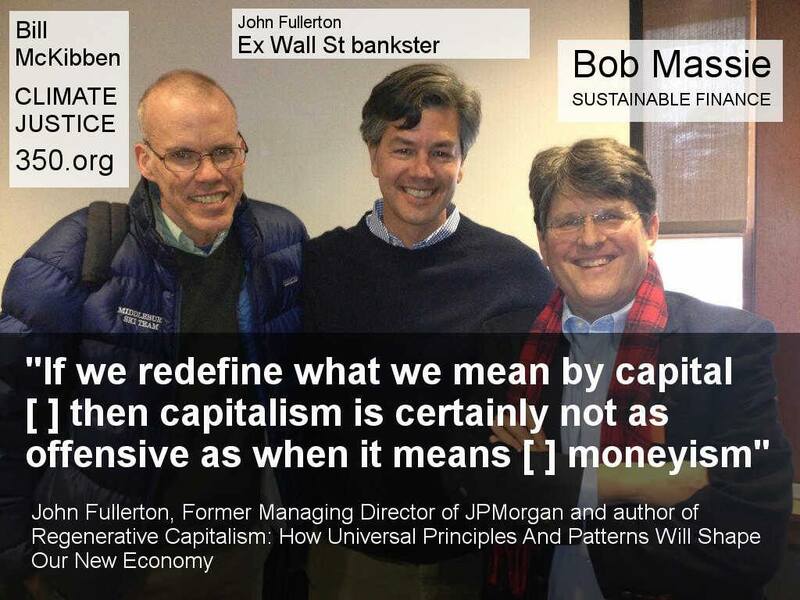 The “global goals” in reality, must be understood as the true objective for corporate capture and complete privatization of the commons. This objective is drenched in deceiving holistic linguistics – hidden in plain sight. Hence at the top of the hierarchy, the elite structured power institutions are deploying the legislation and unifying the corporate interests/power they are immersed under one key goal (the financialization of nature). While beneath it, the NGOs that target/appeal to the Anglo-centric middle class (Avaaz, Purpose, 350, Greenpeace, etc.) will be tasked with slowly but methodically bringing society up to speed with this brave new world, which they will be socially engineered to not only accept, but to believe it is in their own best interests. 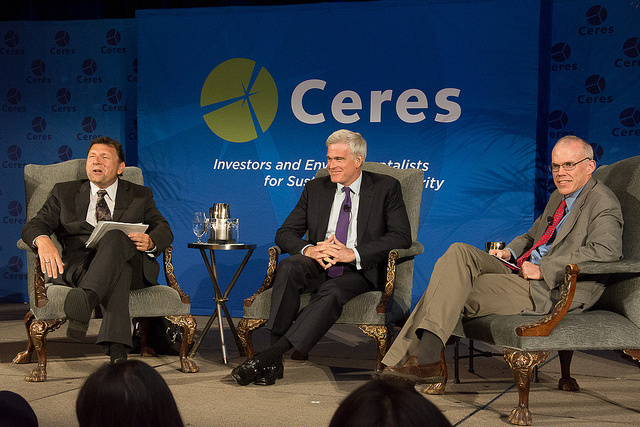 May, 2013: “CalSTRS CEO Jack Ehnes, Generation Investment Management Co-Founder David Blood (Goldman Sachs) and 350.org’s Bill McKibben. Ehnes also serves on the Ceres board of directors. Screenshot from the Devex Website. The address for The B Team Headquarters is the address of Purpose. As demonstrated in part 1 of this series , The B Team appears to be, for all intent and purposes, the Purpose public relations firm. The Peoples Climate March of 2014 led by GCCA/TckTckTck (co-founded by 350.org, Avaaz, Greenpeace, along with 17 other international NGOs) and 2017 , the divestment campaign (Ceres), the Women’s March on Washington, the scores of NGO petitions designed to placate the masses…. these are not financed by the world’s most powerful elites and institutions – to the tune of trillions – for nothing. The funds are not “grants” – the funds are investments. For the highest return. This is not philanthropy – this is security. For the world’s most powerful corporations and elites, foundations have become essential, tax-evading investments with returns that outweigh gold. The liberal faux activists are anthropocentrists craving status and access. Those leading the “movements” move in the same elite circles as those that finance the movements. Behind closed doors the fait accompli is the expansion of nuclear energy. The financialization of nature is the final coup de grace. At the end of this second segment of this series, we must take a moment to reflect upon the aforementioned agribusiness venture GADCO, that Molloch Brown chairs, for it represents a microcosm of what we can expect from the UN’s “Global Goals” which have now been incorporated globally into the education curriculum of children as ” The World’s Largest Lesson”. The “Global Goals” being steadily accelerated by the world’s most powerful institutions and NGOs with Purpose (Avaaz)/The B Team, We Mean Business (350.org divestment partner Ceres, etc.) 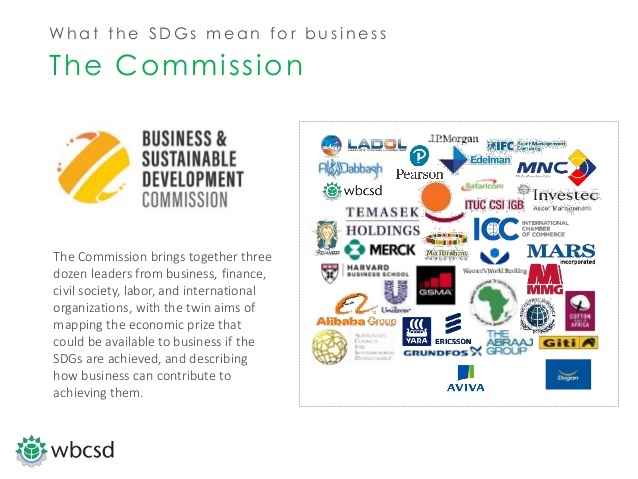 and the Business and Sustainable Development Commission (inclusive of Avaaz co-founder Ricken Patel), all working intricately together at the helm. The farm labourers for GADCO (21st century colonizers) are paid 9 cedis a day (USD$4) “with some farmers stating this was lower than what they had earned doing the same job elsewhere.” As if it were not enough to colonize the community (the further modern-day colonization of Africa will expand in lockstep with GADCO’s growth) the patronizing patriarchs would also establish where and how this pittance of profit sharing would be spent. The 2.5% paid to the community “would be deposited into a special account to be used exclusively on local development projects.” As of January 2014, the Fievie’s 2.5% revenue share has gone towards 1) upgrading street lighting, 2) building a school block, 3) providing furniture for a kindergarten, and 4) buying a set of drums for a local youth group. Labourers who complained about shoddy boots and equipment had their needs fall on deaf ears. Labourers also expressed dissatisfaction that the transportation (part of the perks/negotiations promised by GADCO) to return them home at the end of the working day was inadequate. Another perk promised by GADCO was the luxury of being able to buy some of company’s rice at a subsidised price – but there was no rice available. The community approached GADCO in hopes of assistance to build a water pipeline. While the community, now adorned with updated street-lighting and kindergarten furniture, further negotiated for GADCO to supply a pipe for water in 2013, over $15 million was spent on the first phase of the project. The next phase of the project would be launched within the next two years with a $100-million investment to develop rice paddies in five Sub-Saharan countries, including Mozambique, Zambia and Nigeria. The philanthropic gestures played out by the corporate state and hyped by the mass media they own and fund (hence control) are for propaganda purposes only – wholly utilized to give the semblance of concern. Be assured that the only true concern is both the protection and expansion of the current power structure via policies that will expand capital markets with investments, legislative policies and privatization that will not only further enslave the Global South, but further destroy all life on Earth. This series will continue to demonstrate that without doubt, there is no entity on Earth that sustains the status quo than the NPIC, the mercenaries and protectorate of global hegemony. The Business Commission’s Steering committee is comprised of the following individuals: Peter Bakker, President, World Business Council on Sustainable Development; Kathy Calvin, President & CEO, UN Foundation; John Danilovich, Secretary General, International Chambers of Commerce; Zia Khan, Vice President, Initiatives and Strategy, Rockefeller Foundation; Lise Kingo, Executive Director, UN Global Compact; David Nabarro, Special Adviser to the Secretary-General, 2030 Agenda for Sustainable Development and Climate Change; Richard Samans, Managing Director, World Economic Forum; Jeff Seabright, Chief Sustainability Officer, Unilever; Andrew Steer, President & CEO, World Resources Institute; Keith Tuffley, Managing Partner & CEO, The B Team; Miguel Veiga-Pestana, Chief Communications Officer, Bill & Melinda Gates Foundation and Kevin Watkins, Executive Director, Overseas Development Institute. The Business Commission’s Research Advisory Group is comprised of the following individuals:Caroline Anstey, Group Managing Director and Global Head, UBS and Society, UBS; Kaysie Brown, Special Advisor for Policy and Strategic Initiatives, UN Foundation; Paula Caballero, Global Practice Director for Environment and Natural Resources, World Bank Group; John Elkington, Chairman and Chief Pollinator, Volans; Helene Gayle, CEO, McKinsey Social Initiative; Kitty van der Heijden, Director, World Resources Institute Europe; Celine Herweijer, Partner in PwC’s Sustainability and Climate Change, PWC; Homi Kharas, Senior Fellow and Deputy Director for the Global Economy and Development program, Brookings Institute; Mark Kramer, Co-founder and Managing Director, FSG; Kishore Mahbubani Lee, Dean and Professor in the Practice of Public Policy, Lee Kuan Yew School of Public Policy, National University of Singapore; Jessica Long, Managing Director, Accenture Strategy and Sustainability, Accenture; Professor Michael Mainelli, Co-founder and Executive Chairman, Z/Yen; Paul Mason, Economics Editor, Channel 4 News; John W. McArthur, Senior Fellow, UN Foundation; Ricardo Meléndez-Ortiz, Co-founder and Chief Executive, International Centre for Trade and Sustainable Development; Amina J. Mohammed, Minister of the Environment, Nigeria, and CEO/Founder, Center for Development Policy Solutions; James Mwangi, CEO and Managing Director, Equity Group Holdings Limited; Roel Nieuwenkamp, Chair, OECD Working Party on Responsible Business Conduct; Guido Schmidt-Traub, Executive Director, UN Sustainable Development Network and Andrew Winston, Founder, Winston Eco-Strategies, LLC. I blog. Therefore I know how easy it is to generate many typos in a long piece. I do it all the time. But I correct them when I find them, which is sometimes well after publishing the post and sometimes soon after. Many thanks. Your correction led to the fixing of quite a few glitches in that list of names.